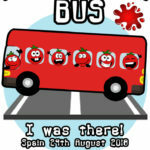 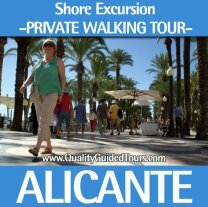 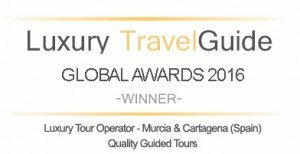 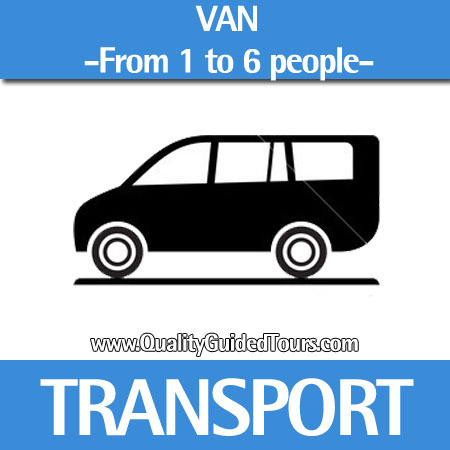 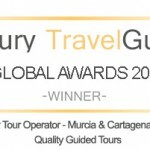 Private shore excursions walking tour to Alicante. 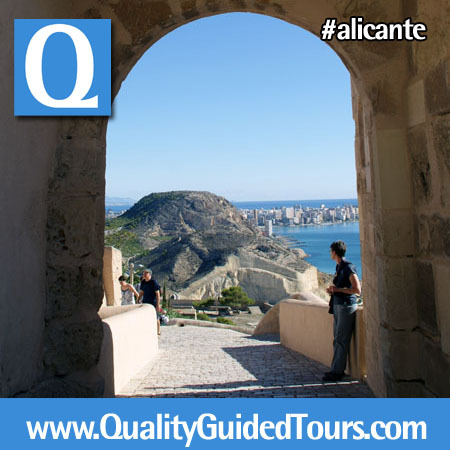 World famous for its lively Bonfires of San Juan festival, Alicante is an enchanting and historic Mediterranean port city that is best explored with us in an Alicante 3h private shore excursions walking tour. 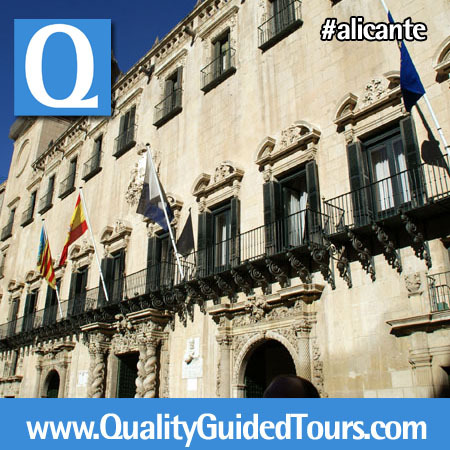 Skip the cookie cutter tour itineraries and explore this beautiful city in style. 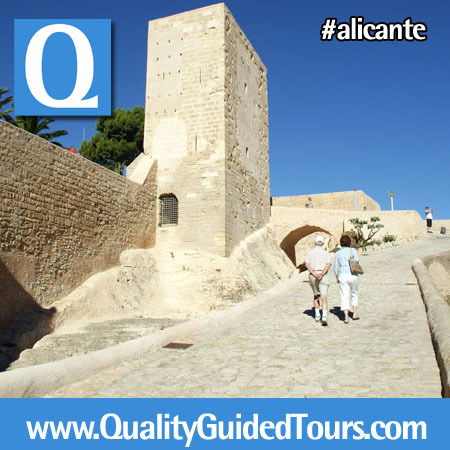 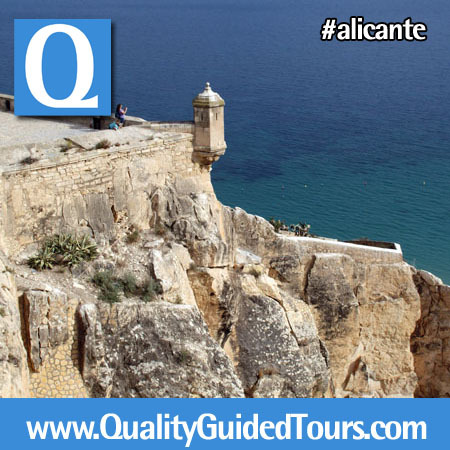 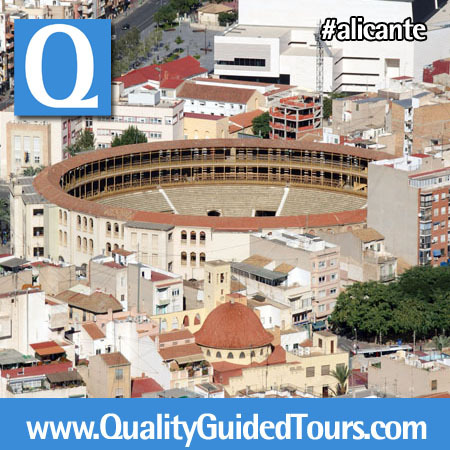 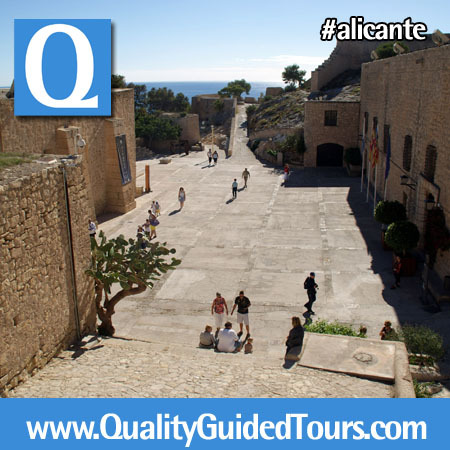 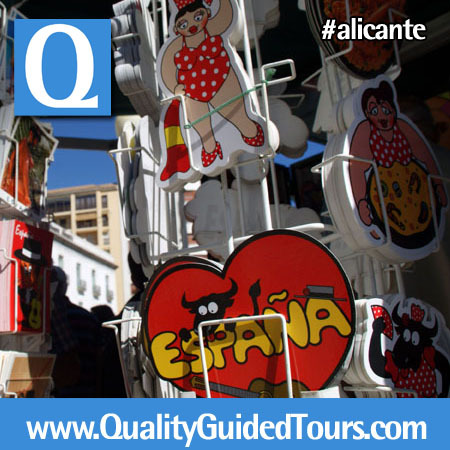 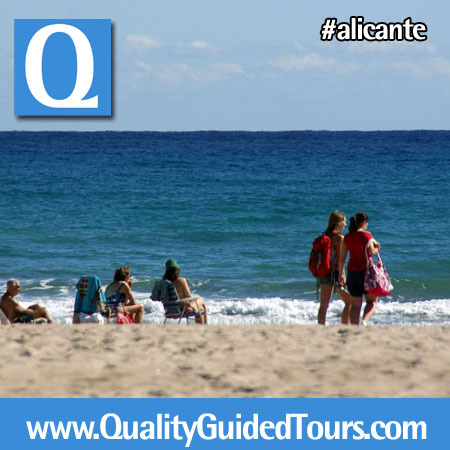 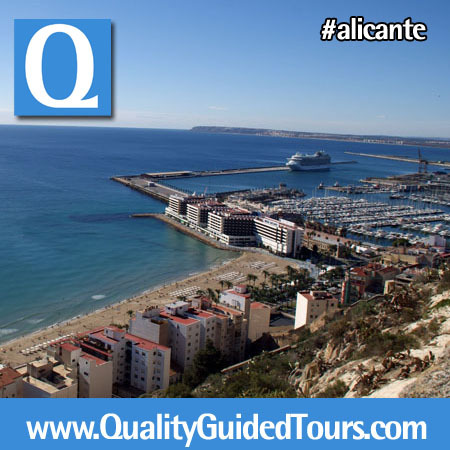 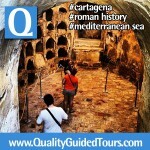 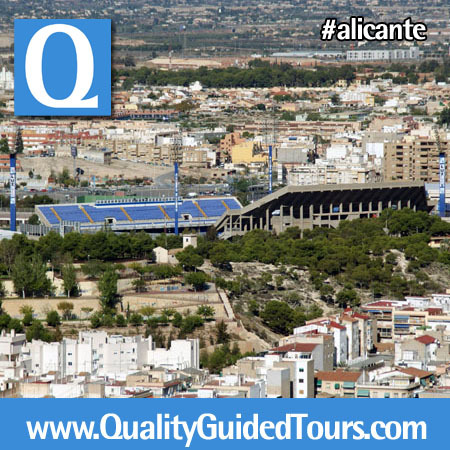 Start your Alicante 3h private shore excursions walking tour near the harbour with your private tour guide Alicante. 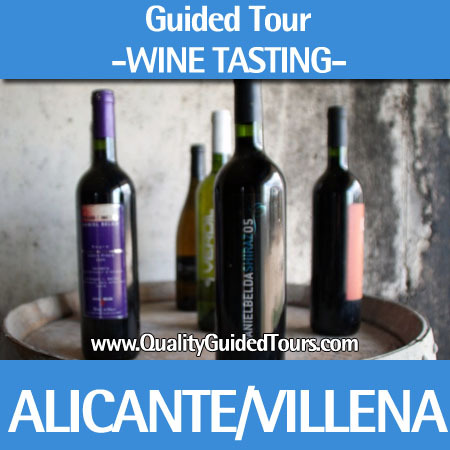 Admire the spectacular Santa Bárbara Castle on strategic Mount Benacantil overlooking the city as you sip on some typical Sangria and enjoy superb views of the bay. 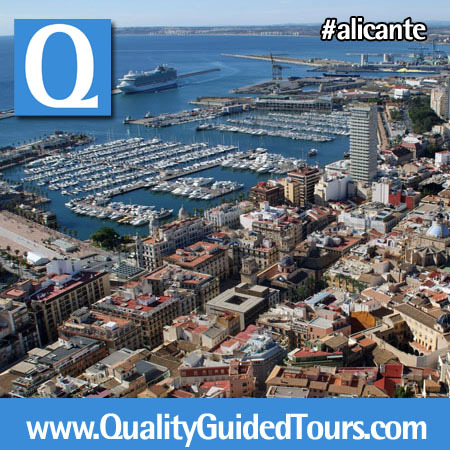 Down in the Old Town you will discover tranquil Mediterranean neighborhoods of colorful buildings and a typical zest for life. 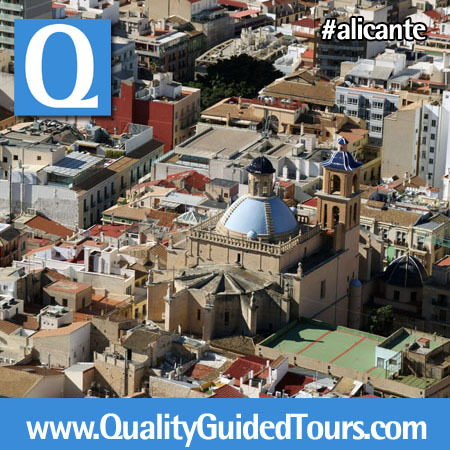 Go to the Co-cathedral of St. Nicholas of Bari, built on the remains of a mosque in the 17th century. 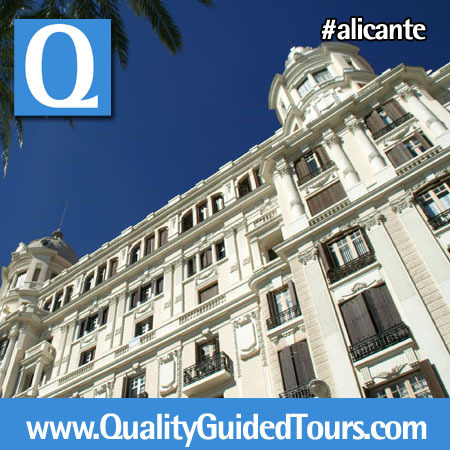 Admire with your private tour guide Alicante the Baroque façade of the Town Hall, and the modernist Casa Carbonell, one of the city’s most striking buildings. Located at Number 1 on the Explanada de España, the city’s esplanade is also the place to be dazzled by more than 6 million ceramic tiles on the promenade floor at the end of your tour. 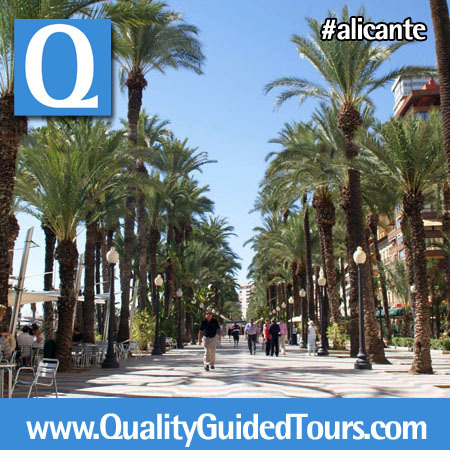 In the Spanish boulevar or Explanada de España, you will experience the local enviroment and the Mediterranean breeze. 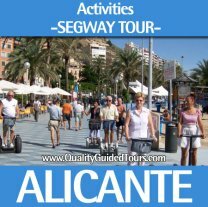 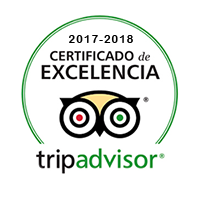 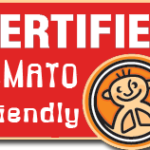 Perfect private shore excursion Alicante to be done alone or with your friends and accompanied by an expert and local tour guide who will offer you the best of the Mediterranean and the best of our knowloedges. 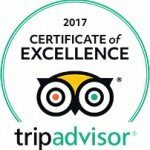 Santa Faz Monastery- Holy sheet-.